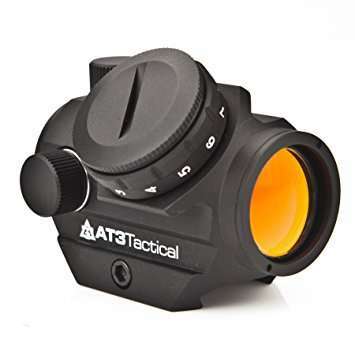 A red dot sight is an item of great importance that can seriously change your firing performance. As a matter of fact, once you’ve tried one, it will be difficult to go back to not having it. So, if this is your goal, you’ll definitely find our AT3 Tactical RD-50 review useful.